It’s already late fall, and winter is slowly knocking on our doors, so feeling warm is our priority during this season. 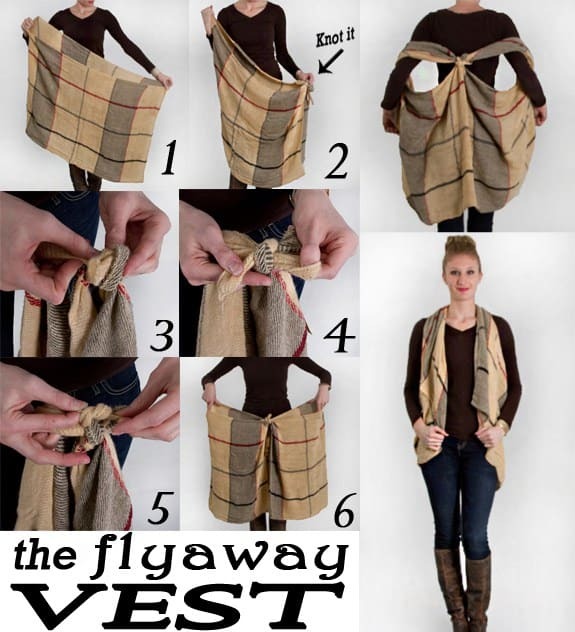 The scarf is such an important piece of clothing that you shouldn’t leave behind. 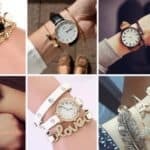 It’s the favorite accessory of lots of women because it tends to make you look more stylish and trendy. Plus, it’s a great layering option that will help you hide some dirty blouse or hide your chubby belly. 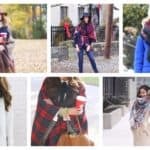 There are tons of ways to style a scarf and in this article I’m going to show you How To Tie A Scarf In Lots Of Different Ways. Each way of tying a scarf is special in its own way and will give a completely new and different dimension to your whole outfit. Check them out and see what are you options. You have step-by-step tutorials, so it won’t be hard for you to recreate the looks! Despite having the scarf tied around your neck to keep you warm, you can tie it in a completely different fashion and fascinate everyone. 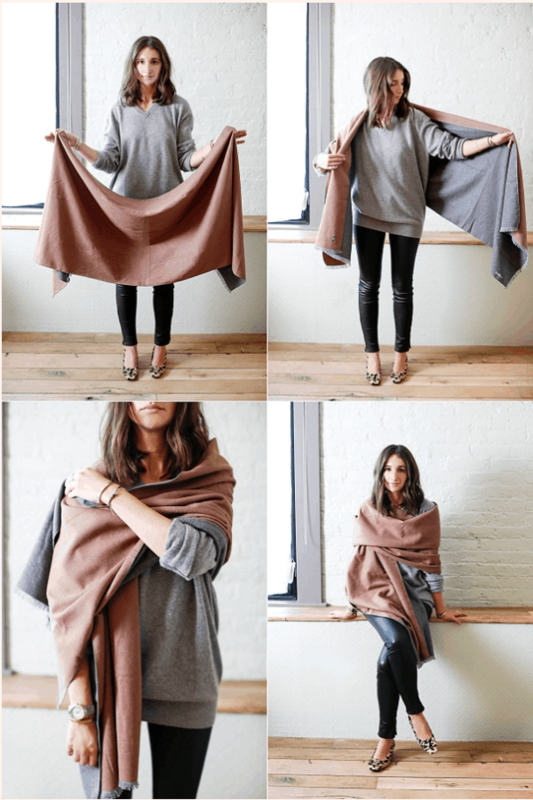 If you have a blanket scarf the possibilities are really endless for you. 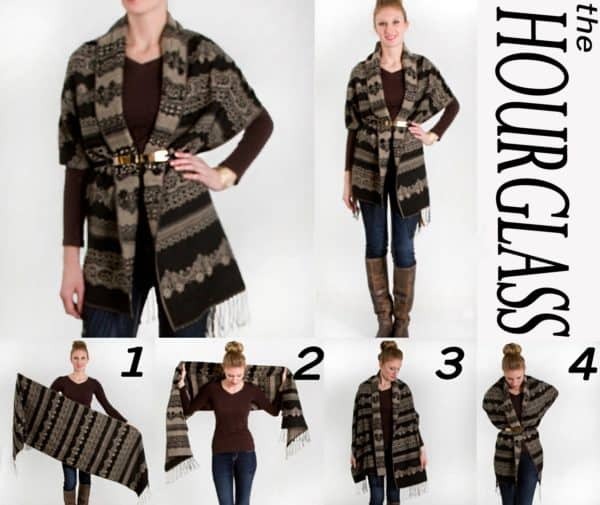 You can wear it as a hour glass or as a vest. In this way the scarf will keep you warm on your back, so whenever you are feeling the chill in the air just recreate the following three looks. You will be grateful you did, and plus you will be in the center of attention for sure. 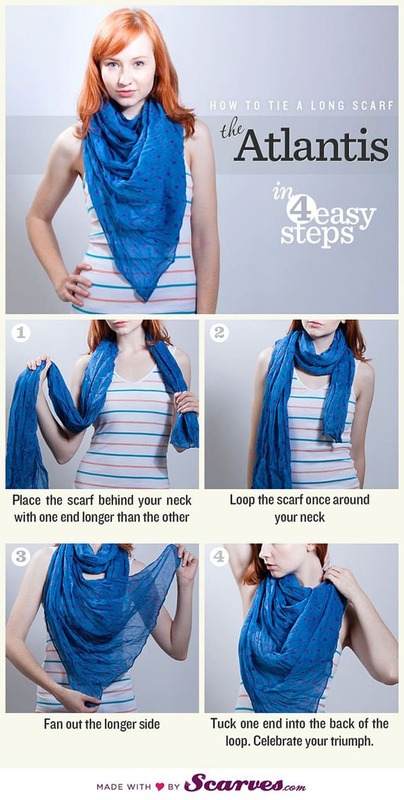 When you are not feeling like having your scarf loose, just tie it in a know like in the photo below. It’s super easy to get the design right, all you have to do is to follow the tutorials as in the steps shown in the photo. 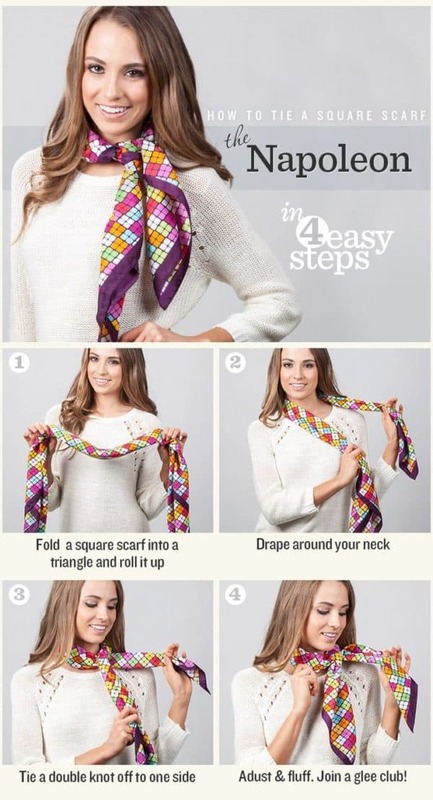 If you thought that square scarves are really difficult to deal with, you certainly haven’t tried the look below. It’s a chic way to style your outfit and spice up your winter look. 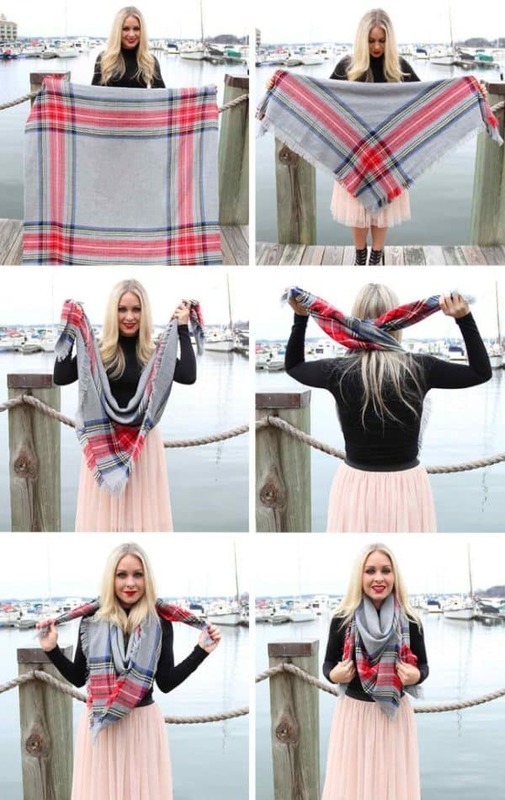 You can try these looks for every scarf regardless of the material they are made of. 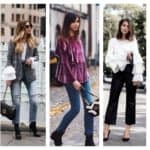 Let the photos serve you as inspiration, so you can have different outfits every time. When you style your scarves differently, you can never have a monotonous and boring look. 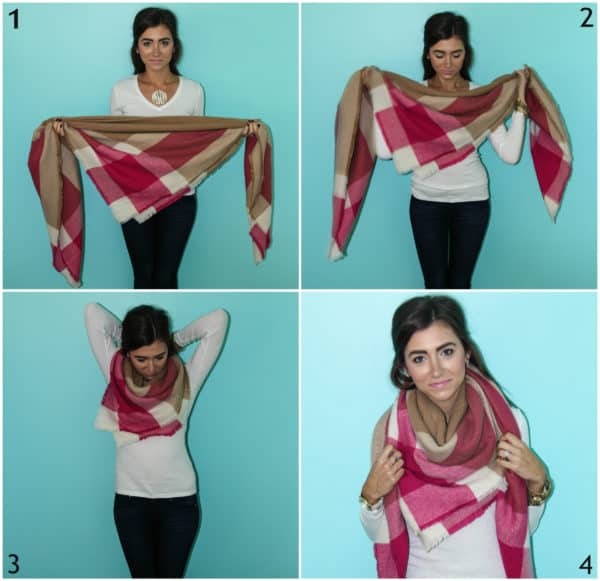 Have fun with your scarves and be in the center of attention wherever you go. 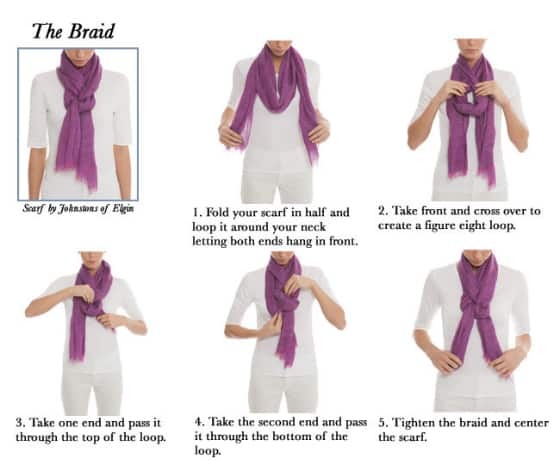 If tying the scarf in a certain way looks too complicated for you, don’t give up at first but try the look several times before you get the hang of it. I assure you that it’s super easy and fun! 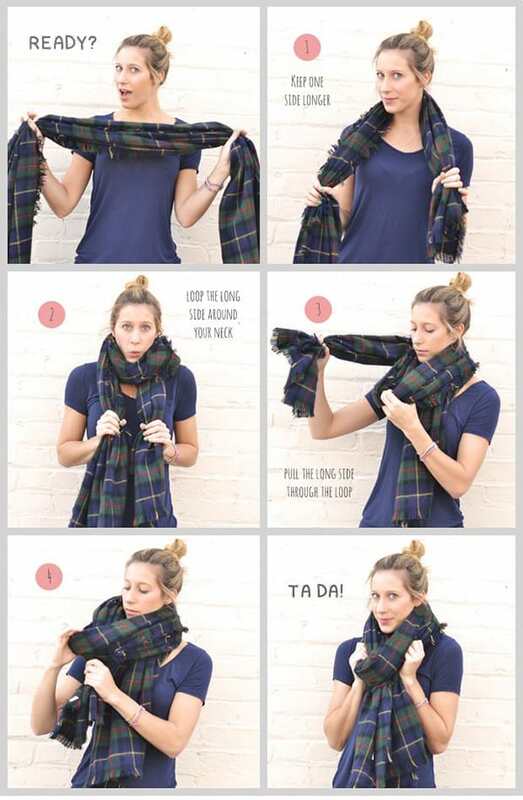 Have you already decided how to style your scarf tomorrow? Let me know in the comments below!